INNOVATEC// Gerätetechnik GmbH was founded 1994 in Rheinbach, Germany. The corporate purpose has been the development and production of small apparatus and equipment for analytics and preparation in the chemical and pharmaceutical industry, and in medical technology. Today the core products are ozone generators based on silent discharge and PEM-electrolysis. Our product portfolio also includes accessory components, e.g. catalytic ozone destructors and customer specific products which are marketed under OEM label. The company’s owner and CEO is Dirk Schulze, who has been in the ozone business since 1989. In 1997 Innovatec expanded and moved from Rheinbach-Merzbach to the industrial area North II in Rheinbach. 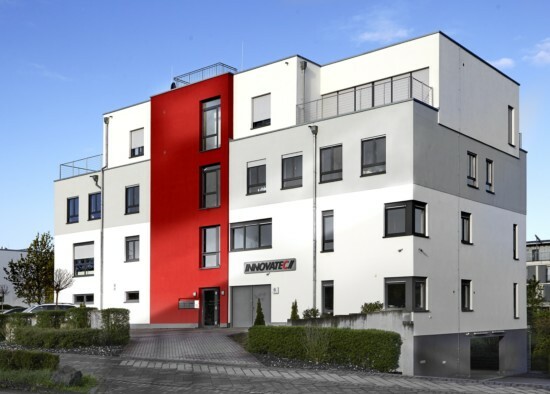 In 2006 a second expansion followed and the company moved to the university quarter in Rheinbach. Many of our employees and associated advisors have an extensive experience in the development and production of PEM ozone electrolysis cells for the pharmaceutical industry. Some of them have been in the business since the beginning of the PEM technology in Switzerland. In 1999 and 2000 the worlds largest “cold” purified water loop was built in the industrial park Hoechst (near Frankfurt am Main). It has a capacity of over 400 m³/h and is protected by electrolytically generated ozone. Over the whole area approx. 70 single electrolytic ozone generators were installed serving the companies that are located in the industrial park. Over 2.000 INNOVATEC// ozone cells have been installed and are in operation worldwide. This makes INNOVATEC// Gerätetechnik GmbH one of the market leaders in this area. INNOVATEC// Gerätetechnik GmbH products are in operation in: Egypt, Australia, Belgium, Brazil, China, Germany, England, France, India, Indonesia, Iran, Ireland, Italy, Croatia, Malta, Marocco, Mexico, Netherlands, Austria, Poland, Puerto Rico, Russia, Saudi Arabia, Sweden, Spain, Slowakia, Slowenia, Czech Republic, Turkey, Hungary and the USA. INNOVATEC// Gerätetechnik GmbH is directly represented in the Netherlands, France and Switzerland and via worldwide partners. We share our excitement of creating innovation with young engineers and students. This attitude is reflected by numerous joint projects with staff and students of the univerity Bonn-Rhein-Sieg.